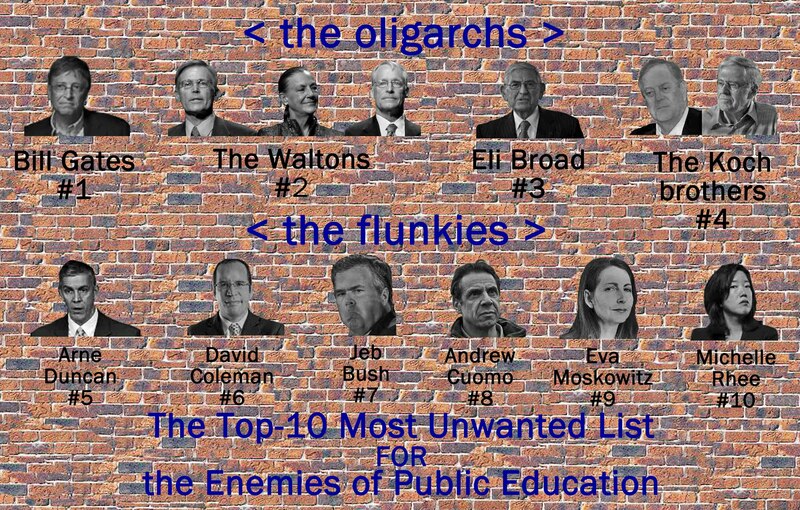 This list reveals the most dangerous enemies of public education and how they earned their spot in infamy. To discover why they landed on this list, click the links included with each name below the brick wall. This list is subject to change at any time. Did #MichelleRhee achieve most of her broken promises in D.C. If you want to suggest someone who deserved to be added to the extended list—beyond the Top Ten—please leave a comment with a name and provide a link to evidence that shows why they deserve a spot on the extended list of public education’s worst enemies. Bill Moyers & Company: Who are the Corporate Reformers of Public Education? Is Campbell Brown the New Michelle Rhee of School Reform?